Designed for comfort, style and protection, this helmet meets new NOCSAE standards and NFHS requirements. Available in both Youth (6-1/8 to 7) and Adult (7-1/8 to 7-5/8) versions. 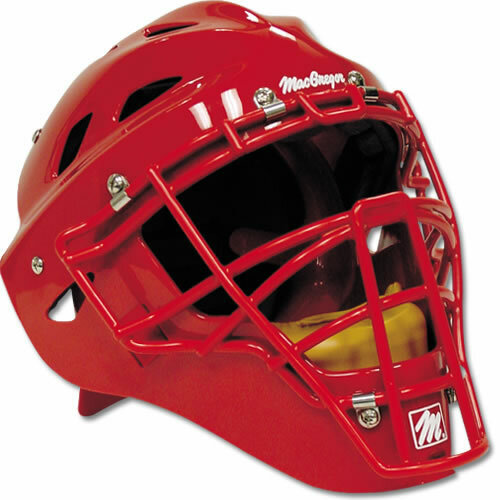 Both feature durable ABS shell, 'Clearview' wire design, multiple air vents, closed-cell foam liner, 'SoftTouch' chin pad, and adjustable back plate.